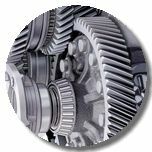 Development of 3D models of Gear and Cam drive train components has been made easy and accurate by Camnetics Inc. - Developers of Gear Teq, Gear Trax and Cam Trax embedded inside SolidWorks. 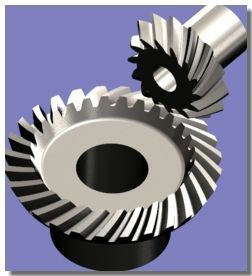 GearTrax - Provides Gear models as parts and assemblies based on Gearing nomenclature and standards including DIN-867, JIS B 1701, ANSI/ AGMA, PGT and British. CamTrax helps the designer create solid models of virtually every type of cam with the dynamic motion control parameters that the system requires. During design, CamTrax generates charts, when linked with Excel, and adds a profile list to the drawing. 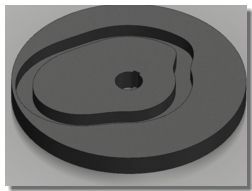 CamTrax standard cam types include cylindrical cams, plate (or disk) cams and linear cams. Follower type of different kinds, namely, on center translating, off center translating, swinging arm and flat-faced reciprocating are available. With Excel the designer can analyze the cam motions and compare different motion synthesis. Alternately, output can also be to a text file! Types of charts include, displacement, velocity, acceleration, pressure angle, cam shaft torque, radius of curvature, contact stress and normal force. 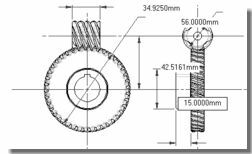 EGS India has been working with numerous designing and manufacturing companies working in the areas of drive train development, implementing Camnetics Software to address many design and manufacturing requirements.